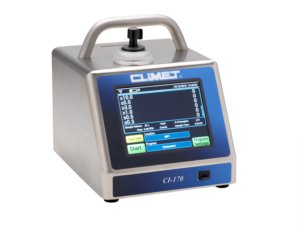 The most recent CI-x70 NextGen 6-Channel Portable Particle Counter is now offered exclusively by CRT. The new series comes with numerous innovations and enhancements, such as an integrated User Integrity Audit Trail (fully compliant with 21 CFR part 11), a user configurable Light Ring for status and alarms and sample memory for up to 10’000’000 samples, just to mention a few. The x70 series ideally complements the existing product range and allows for the first time to directly export sample data and audit trails to PDF files without the need of additional software. All new features are presented in the smallest and lightest (4.4kg) pharmaceutical compliant particle counter available on the market. A new color LCD display with touch screen and completely redesigned user interface ensures an even more efficient and intuitive, user-friendly handling. Interested? Please don’t hesitate to contact us for more details and information.